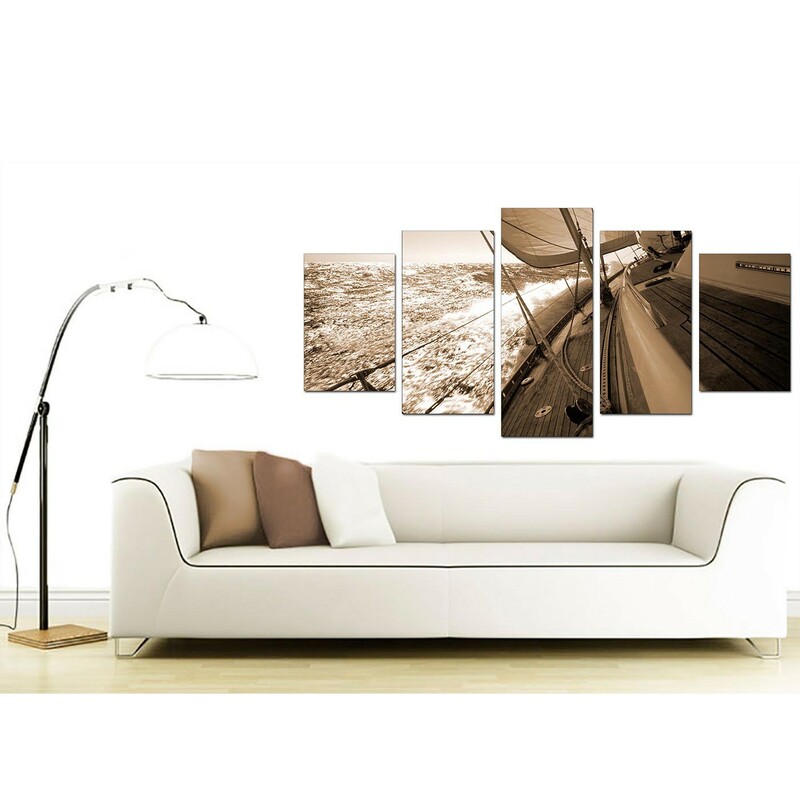 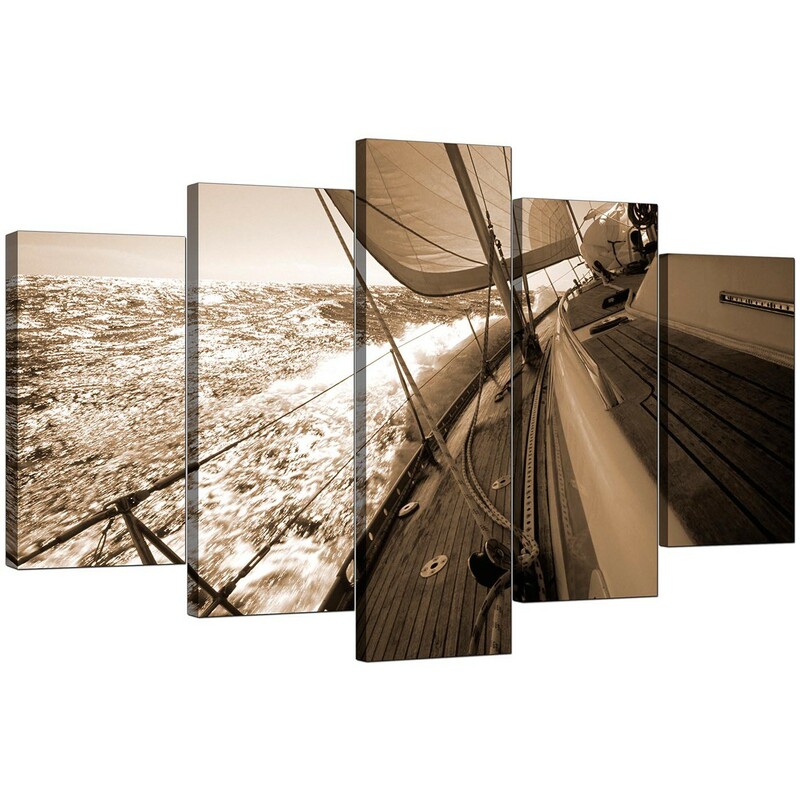 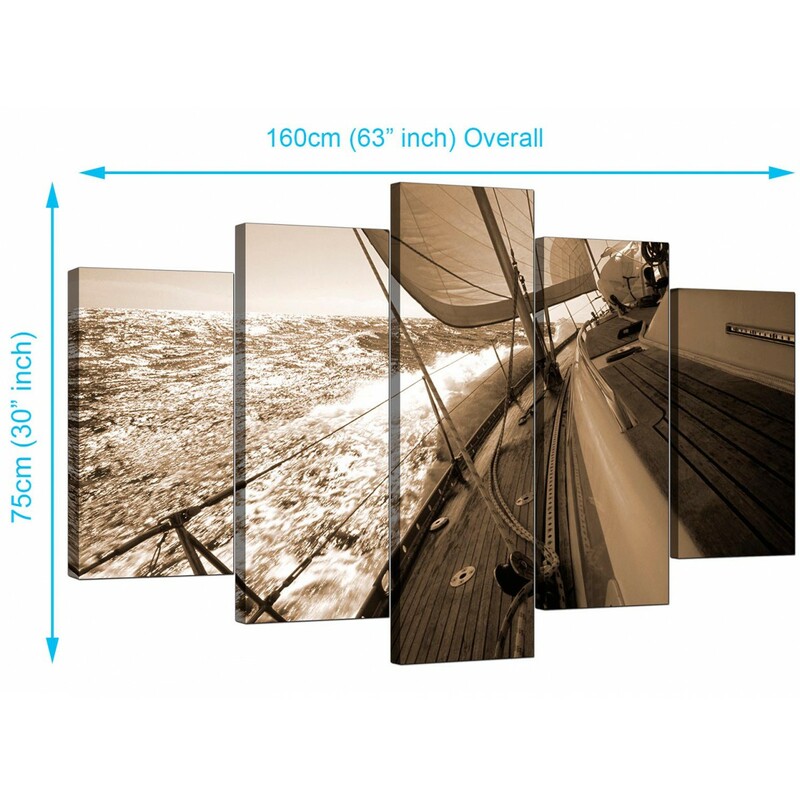 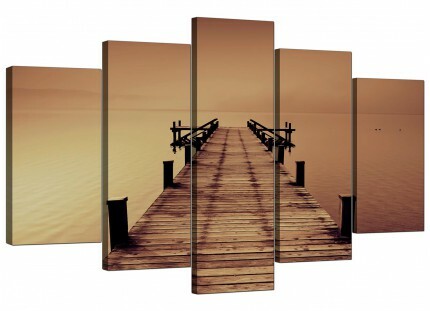 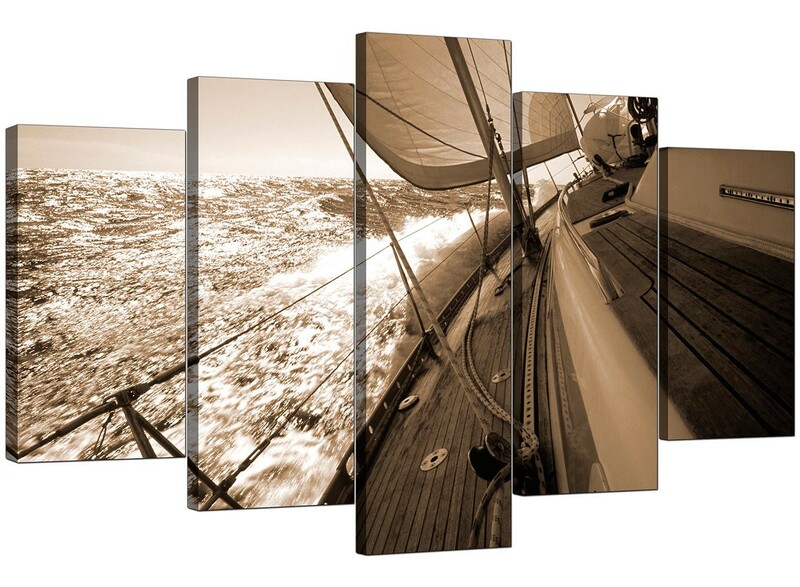 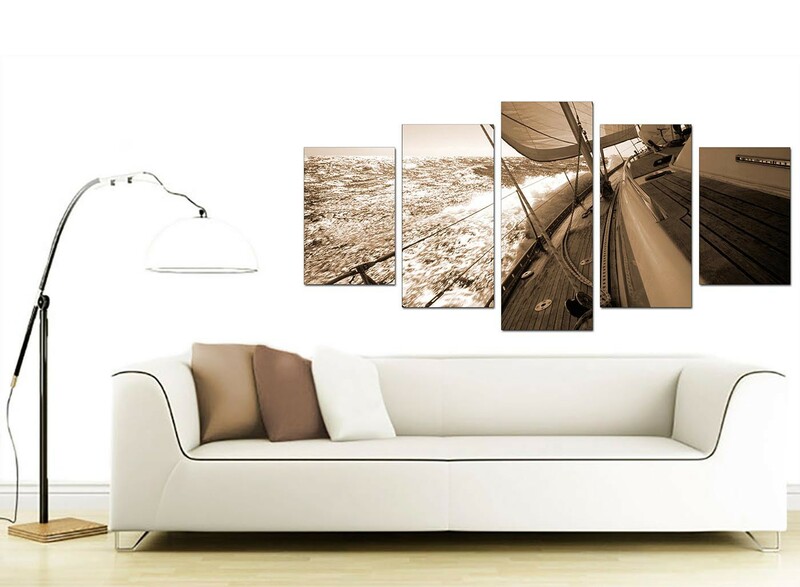 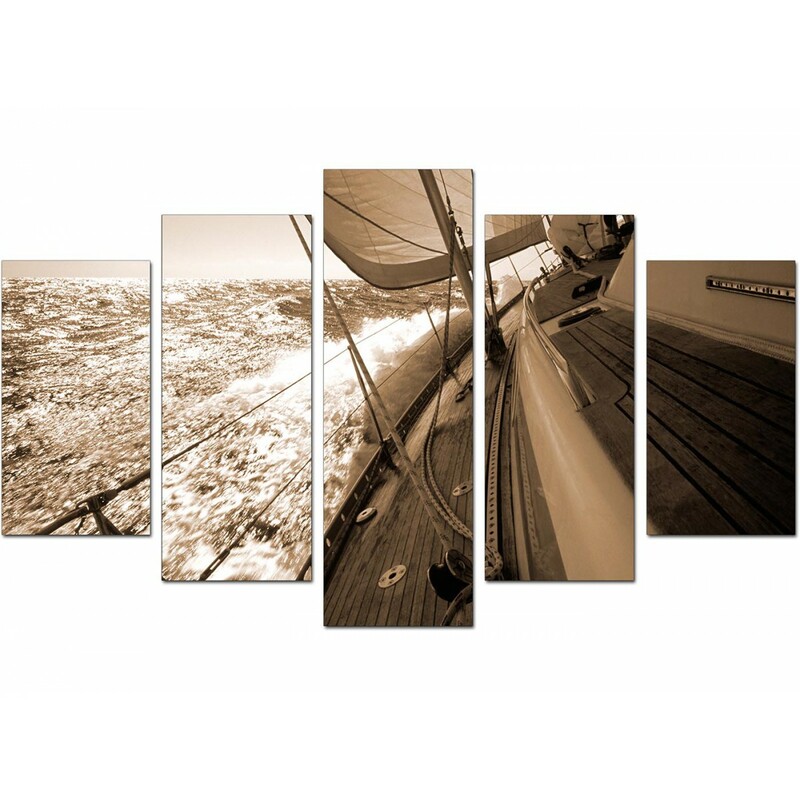 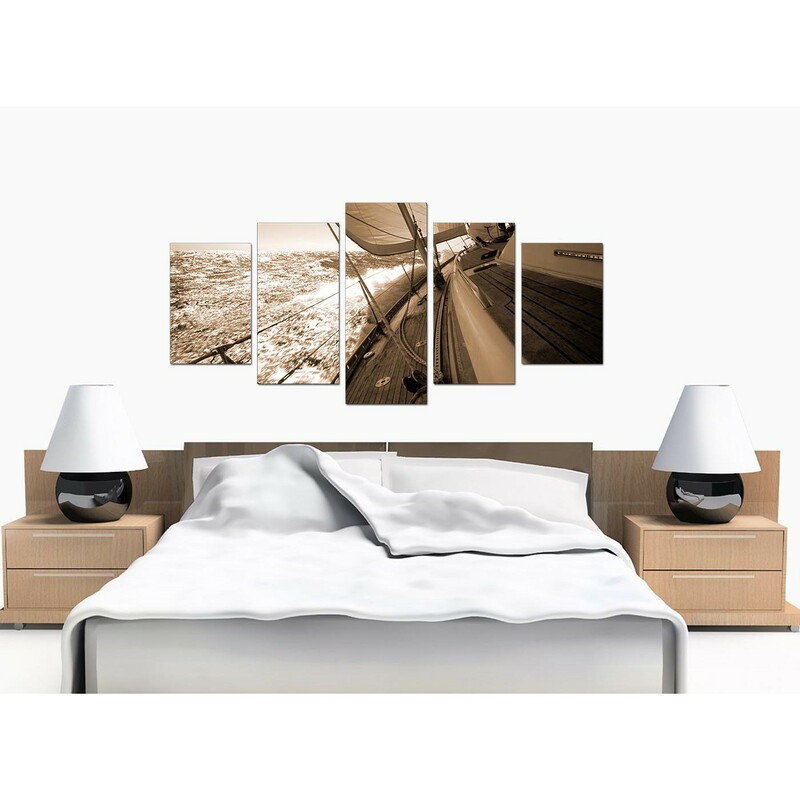 Seascape canvas art of a sailing yacht in muted sepia tones. 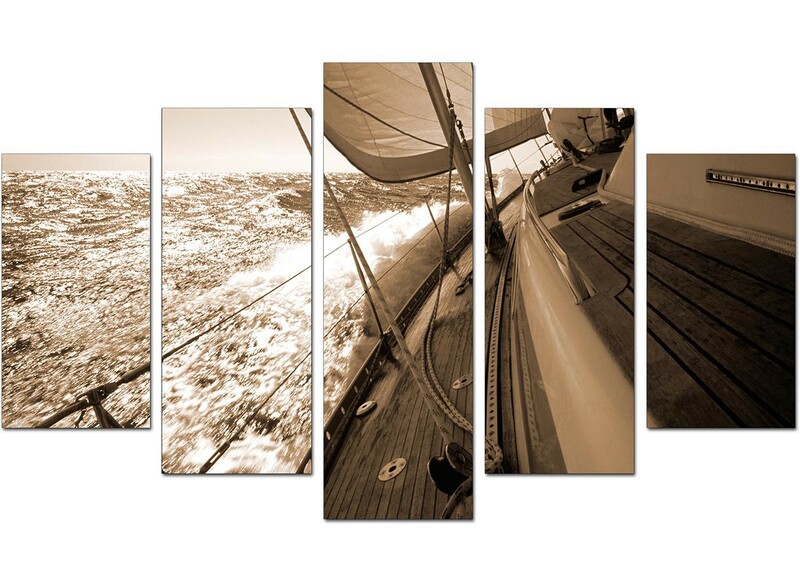 You won't be all at sea with our easy-to-understand hanging instructions. 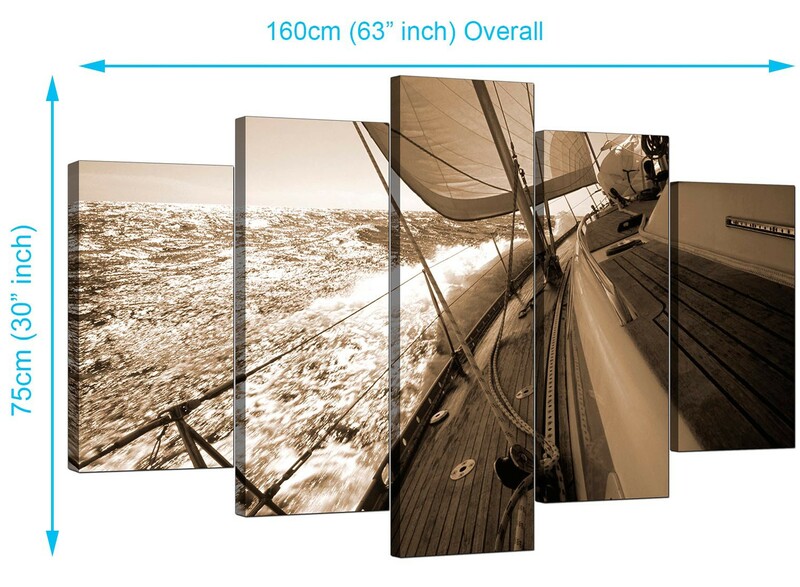 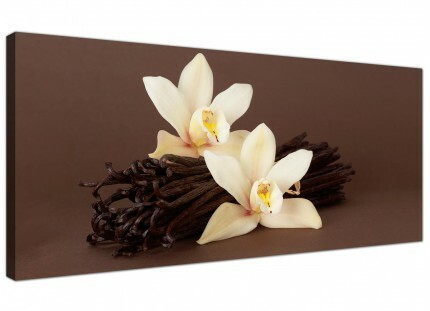 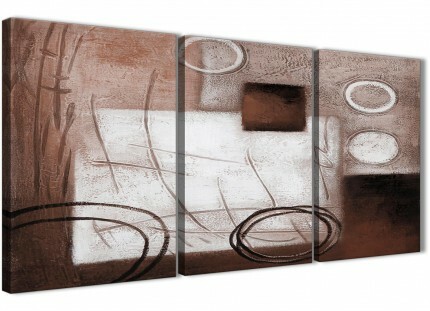 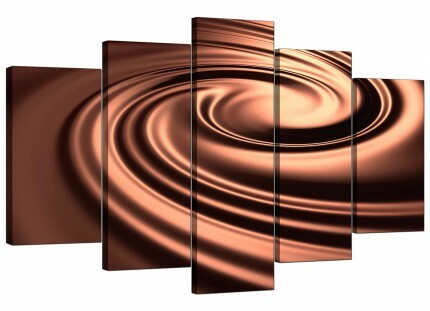 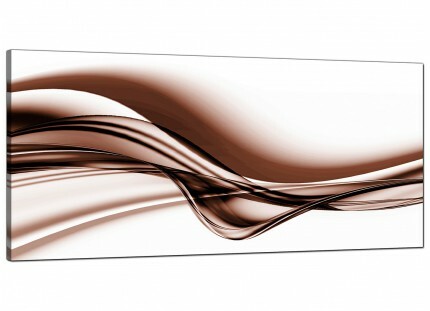 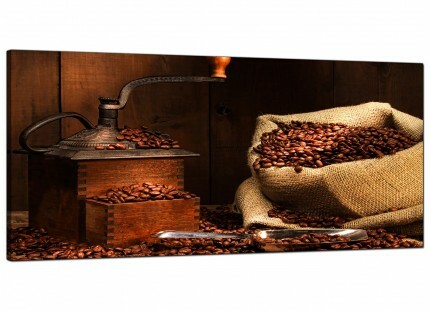 Size: 63" inch x 30"inch inclusive of spaces.